ConnectJob is a decentralized application that provides most of the daily needs to its users all done by individuals called “Jobbers”. Geolocation is at the heart of the ConnectJob offer, providing its users with services available in their areas, and invoiced in CJT (ConnectJob tokens) or fiat (EUR, USD, etc.) at an hourly rate (Uber like model) that is unique and predetermined for each type of services offered. Concept ConnectJob’s ambition is to disrupt the labor market by enabling to connect people looking for a service with people the most capable to provide them this service in a few minutes, at the best price and through geolocation. It represents a revolution in services to individuals as the company intends to surpass its direct competitors by pioneering the flexible workforce business model and provides its users with freedom over the type of services available in a decentralized manner. Using blockchain technology, ConnectJob will allow its customers to exchange value directly without relying on a third party, and ConnectJob’s team will develop a wide range of services around this revolutionary technology. The Company will progressively integrate the platform in the public Ethereum blockchain and will make a progressive transition from a centralized platform to a fully decentralized service, managed and operated by its users. ConnectJob is the first mobile app that aims to connect people looking for a job to be done to jobbers all over the world based on geo localisation. ConnectJob app’s objectives are to provide a Jobber to someone in need of a service and to provide potential clients to Jobbers. It allows ease of access for customers to find what they need, right at their fingertips. In another word: people helping people. CJT vision is to help the labour market with new technologies and facilitate decentralization with the support of the Blockchain community. CJT deeply believe in the “uberization” of businesses and the growing role of the gig economy in our society. 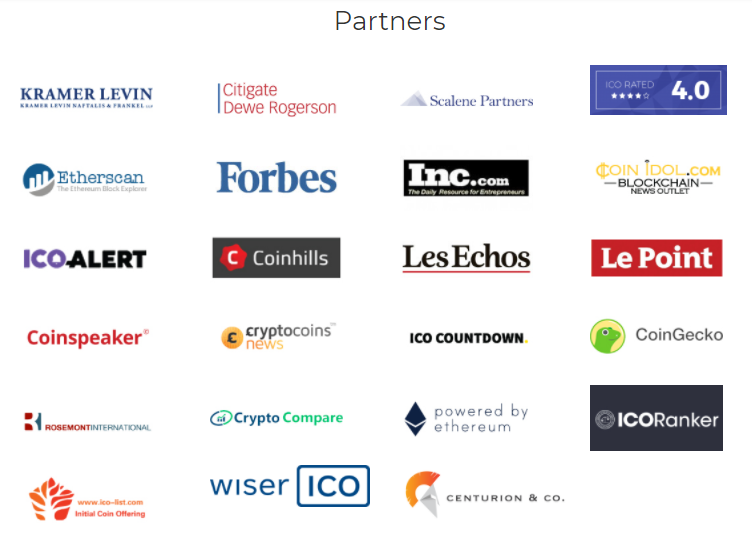 ConnectJob will be at the heart of this new movement by acting as a unique platform to offer services needed anywhere, anytime, with validated service providers. Develop a decentralized and autonomous network between Jobbers and customers with a wide base of new features, services and transactions. Bounty campaigns will last until the end ICO . The rules of each bounty pool are different, the sizes of the pools are different, and points do not carry over from pool to pool. PLEASE READ ALL RULES CAREFULLY. 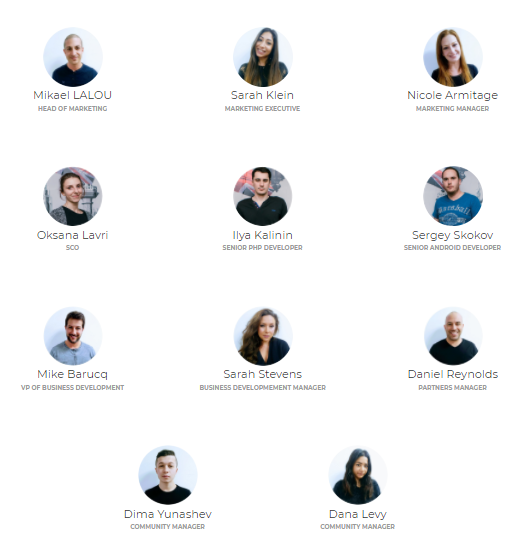 More than a fundraising, we are launching our ICO to create an ecosystem around our token and run ConnectJob as a decentralized platform. 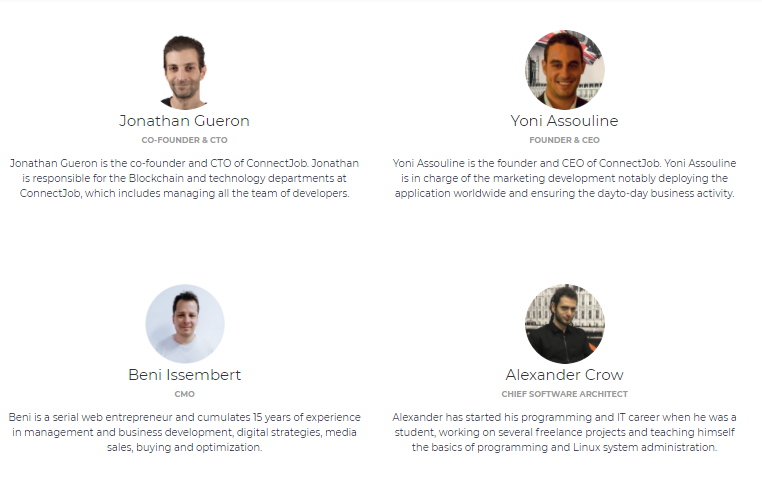 Using blockchain, ConnectJob will allow its customer to exchange value directly without relying on a third party, and ConnectJob’s team will develop a wide range of services around those assets. Secure : Using a blockchain is cryptographically secure — the ledger is distributed across all nodes in the system making hacking near impossible. All of the solidity Ethereum smart contract code used for the token sale and vault account was fully audited by SmartDec, a firm specialized in Smart Contract Security Audit. Decentralized : No single authority has control, the network cannot be distorded or manipulated by a single controlling authority. No middleman. Cost effective : Scale economy through decentralization leading to significant decrease in ConnectJob’s fees. Congratulations @tynovten! You received a personal award!